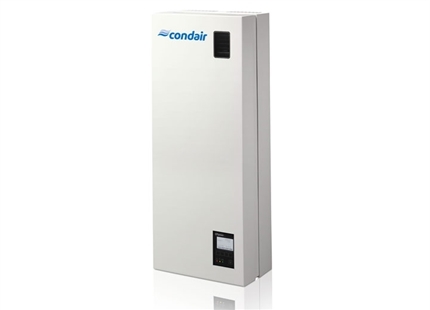 The Condair RS is available with a single cylinder for outputs up to 40kg/h and double cylinder for outputs up to 80kg/h. 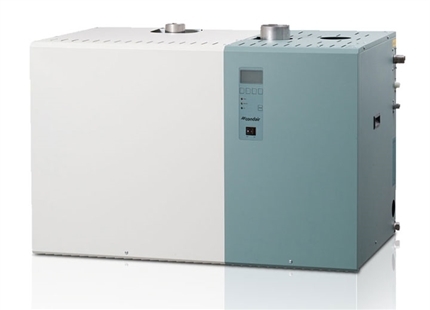 Master/slave configurations provide up to 160kg/h. 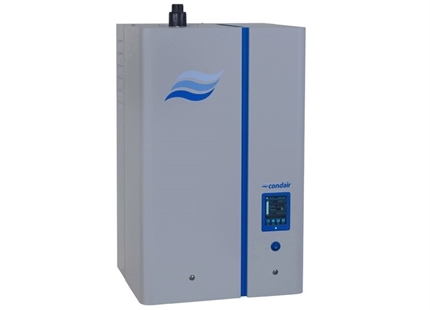 This electric steam humidifier delivers accurate humidity control without the expense of plastic disposable boiling cylinders and simplifies maintenance with its patented scale management system. 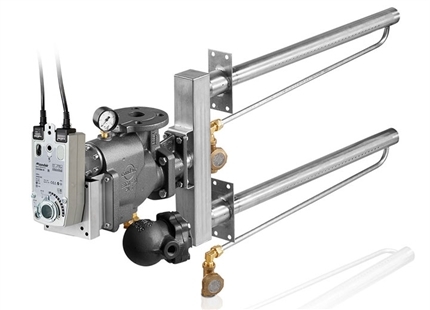 Steam can be delivered to an air handling unit with a steam lance or directly to a room with a top mounted or remotely mounted fan unit. 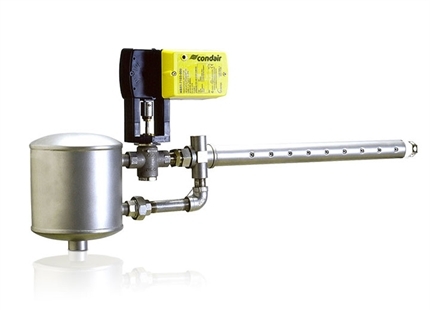 Scale that forms on the heating elements breaks off under normal operation and falls into the externally located scale collector tank. 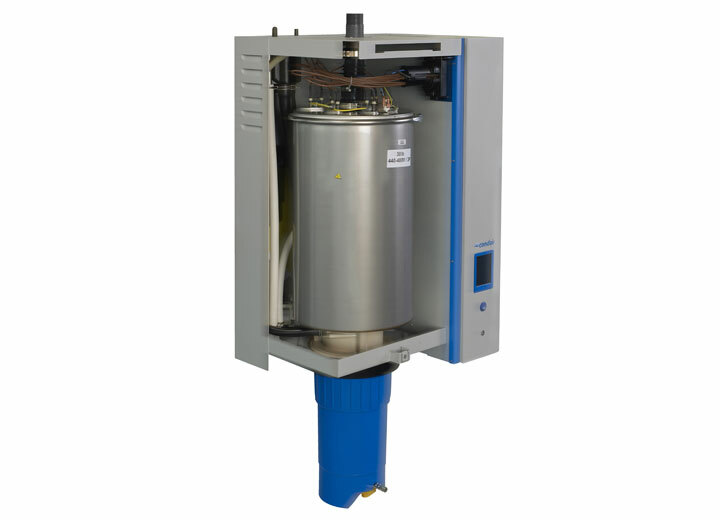 Scale removal is a simple process of draining the scale collector tank with the push of a button, allowing the unit to cool then disconnecting the tank and emptying it. 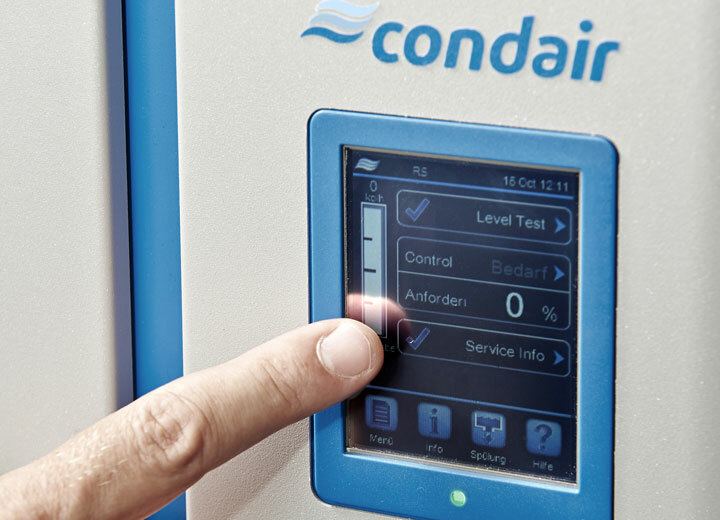 The Condair RS can operate with mains water to provide ±3%RH control or on reverse osmosis (RO) water to offer ±1%RH control. 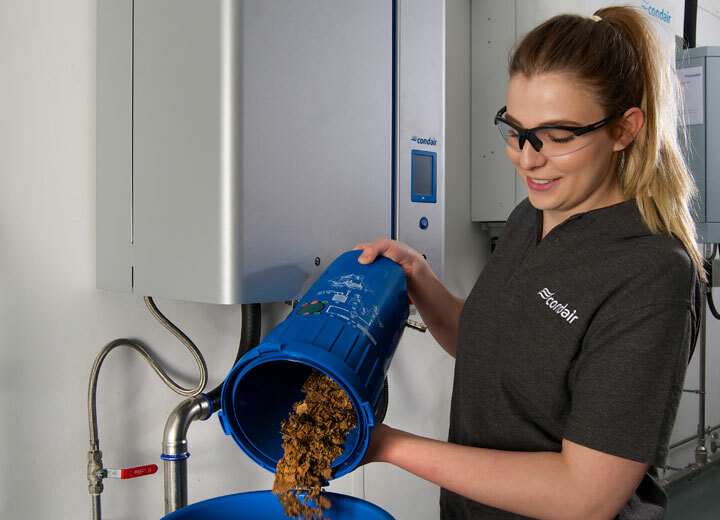 When operating on RO water, scale build-up is virtually eliminated, significantly reducing the unit's required maintenance. 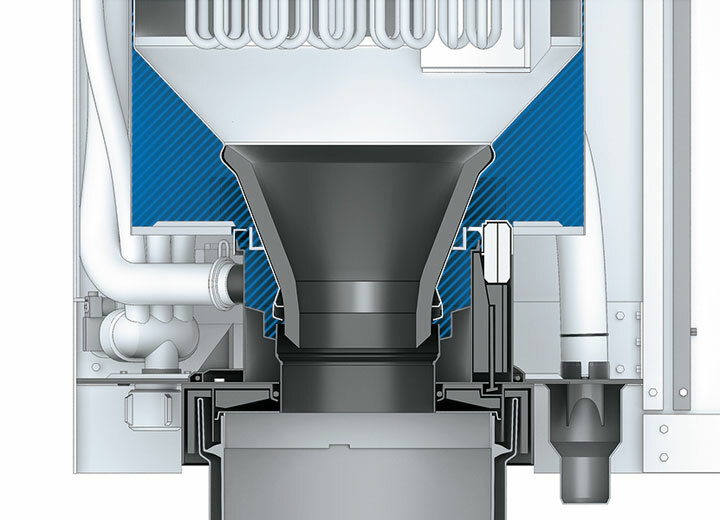 By locating the water inlet and drain between the twin walls of the outer cylinder wall and an inner cylinder liner, the temperature is kept at a level that inhibits scale formation in this area. 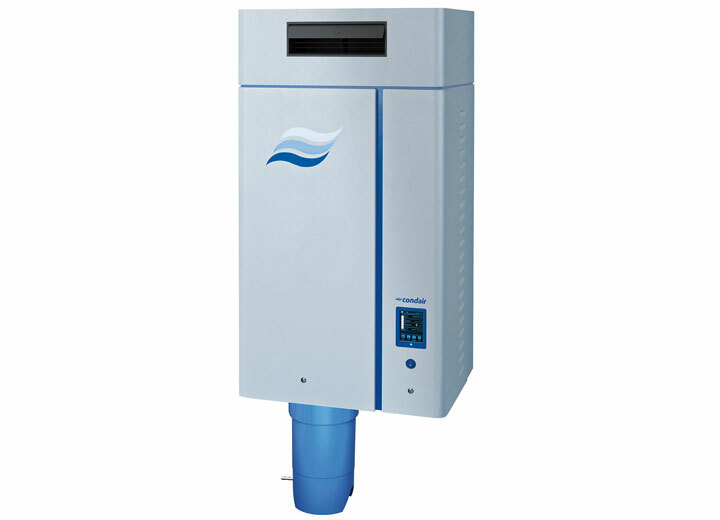 This "cold water pool" prevents blockages of the inlet and drain by scale to further enable extended periods between servicing. 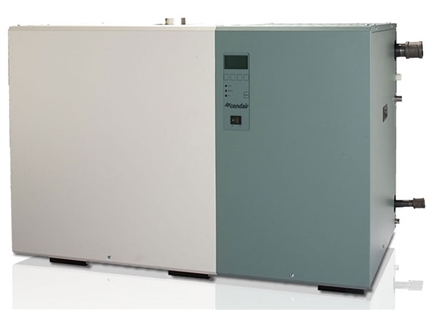 An advanced touch screen controller provides intuitive control over operation and very detailed reporting, including downloading performance, fault and service history into Excel for advanced diagnostics. 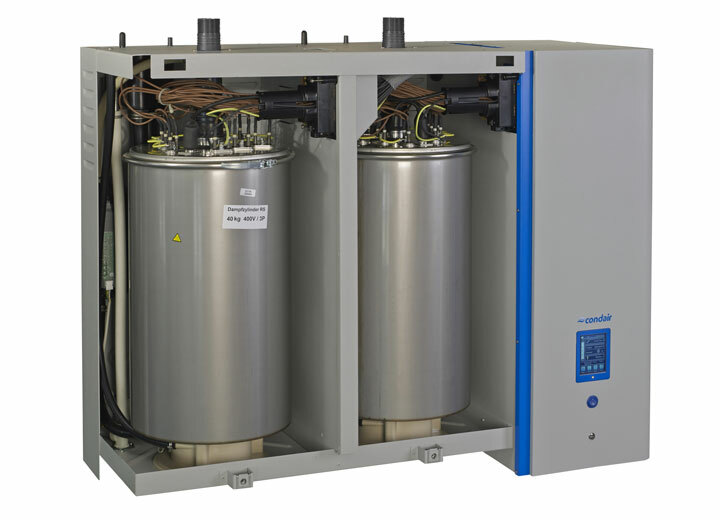 BMS connectivity is standard with BACnet and Modbus protocols. 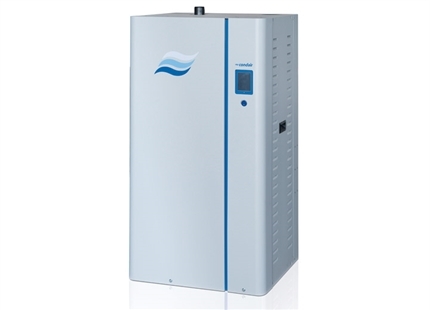 Provides reliable steam humidification in-duct or in-room and is easy to install, use and service. 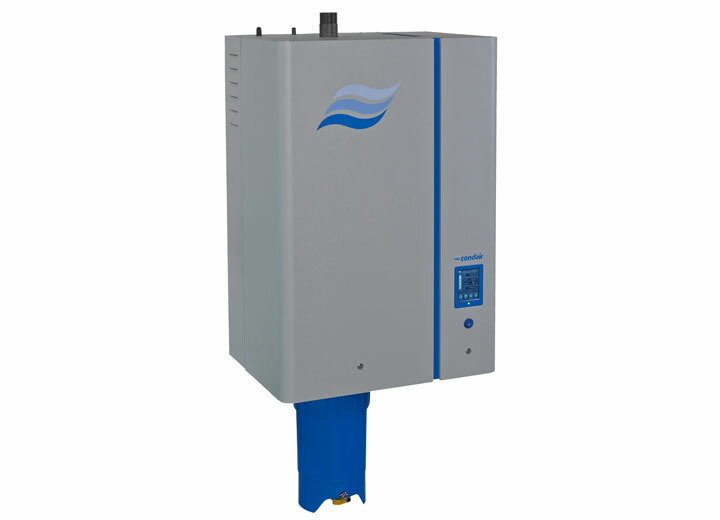 Offers hygienic steam humidification with low operating costs and efficient condensing technology.